Join now in Sofitel Manila’s contest and win exciting prizes! 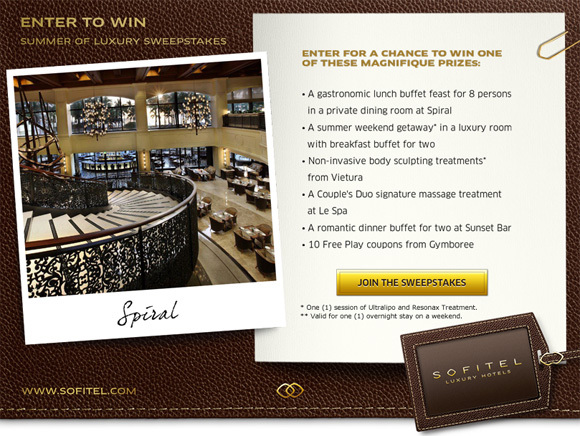 Join in Sofitel Manila’s contest. After clicking on the LIKE button, head on to the second photo under the cover image with the link Enter To Win and click on Join the Sweepstakes. And that’s it. Just follow the prompts and instructions. Promo runs from May 15 to June 5, 2013. Winners will be announced on June 19, 2013.